One of the industries that is slow to embrace technological advancements is the legal profession. Even with the various advances that many industries are utilizing in recent years, some firms are still sticking to old methods, though with minor improvements, like printers or typewriters in exchange for writing documents on pre-filled forms. Forbes attribute this struggle with the adoption to technology with the mindset that attorneys do not want to be “replaced by technology”, and most people do not like change. Following is the Infographic based on Rise and Future of Artificial Intelligence and Law Impact Factor. There may also be internal issues that affect firms more than the simple reluctance to change their ways. They may be too big of a firm to allow the transition to a more advanced, technologically-backed process to be easy, or buying the necessary software outside of the traditional areas of billing and trail support may be difficult to do, due to proximity or lack of information on what to actually buy. In recent years, however, legal firms have at least been partly willing to embrace opportunities that are associated with algorithm-driven computer technology. 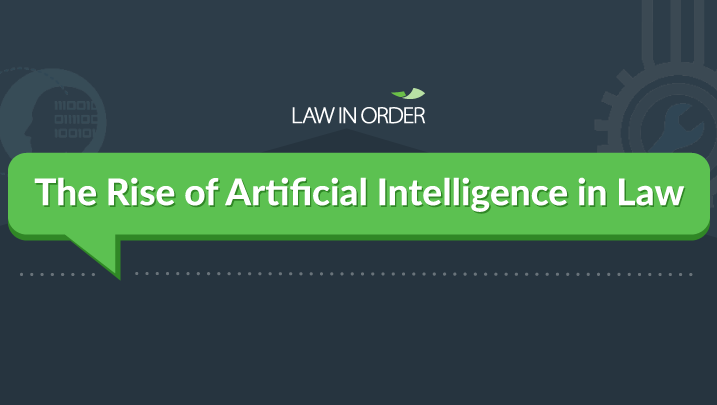 One of these advancements that is starting to be taken into consideration for legal firms is the presence of AI, more commonly known as Artificial Intelligence. This type of technology is most commonly found with technologies that deal with complex systems that are expected to deliver services quickly, accurately, and efficiently. There are, however, two main schools of thought for this within the legal profession: #1. AI provides the profession with opportunities that it should embrace, versus #2. AI spells the end of the legal profession. Those who believe in the potential of AI as an accompanying system for firms suggest that AI stand for “Attorney Intelligence” instead. This concept asserts that AI told still require the input from legal experts in order to function effectively. In general, an AI system will only function correctly when it is finely-instructed on what sort of processes it needs to do or carry out, especially with the ever-changing nature of the legal profession concerning the multitude of clients it deals with. In that sense, lawyers will still continue to play a key role in the development of AI platforms, alongside the delivery of legal services via traditional legal platforms. AI tools will only make the whole workload easier for them as these tools will make the processes operate faster and smoother. They will instruct the AI tools on what sort of process they need to carry out. AI tools still cannot replace legal expertise by professionals, and need to be instructed before they work. To learn more about how AI can contribute to the industry, check out this infographic developed by Law in Order.